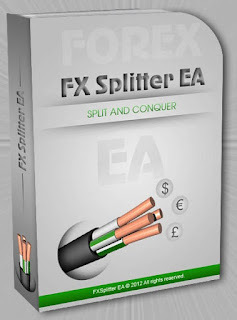 Trading strategy:Trading strategy of Fx Splitter EA is based on the known fact that about 80% time the market stays in the “flat” phase, which means that the price shows no significant movement in either direction, long or short. In the flat phase, the price usually moves between the upper and lower boundaries of the trading channel. Basing on this observation, Fx Splitter places its first trade against the last movement of the price, assuming that most probably the price is going to return to its average value. This assumption holds with high probability, giving us about 65% profitable trades, which increase our account balance. If the price leaves the trading channel and continues further in this direction, Fx Splitter will add new trades and increase the overall position. When a pull-back of the price occurs, Fx Splitter closes the whole basket of orders or, in some cases, an individual order, depending on the market situation and the selected settings.